According to CNN, there is a new Thanksgiving Day trend, and it is called Friendsgiving. 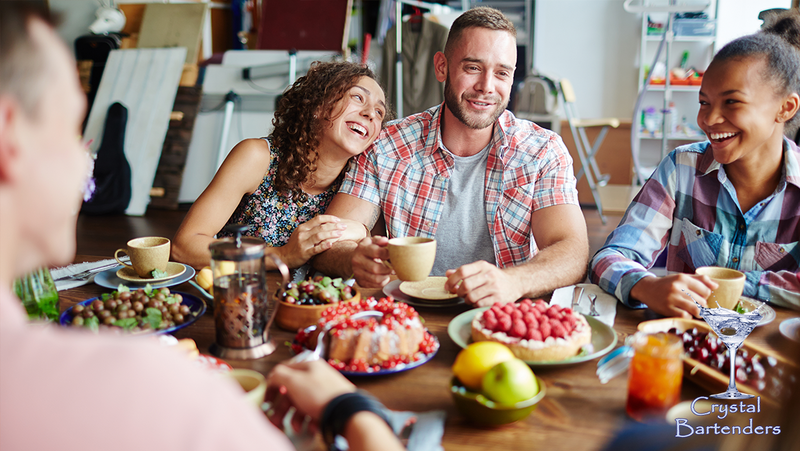 It is typically celebrated when gathering with family is not an option, or it can be celebrated after your family gathering. This means that you get to celebrate Thanksgiving twice, maybe even a third time! However, if you and some of your friends could not go home for the Thanksgiving weekend, this is the holiday for you and your friends. It should be held on Saturday or Sunday. This way your friends who are celebrating with their families could make it. If it is a second or third celebration, you do not have to go all out. If you are hosting, you should provide the turkey and it could be store bought instead of having to roast another turkey if you already had Thanksgiving with your family. Also, turkey does not have to be the main dish. You could serve whatever it is you prefer, or you can ask your guests what they would like. Your guests should bring the side dishes and anything that is typically served on Thanksgiving. Also, tell some of them to bring vegetarian options for the people who do not eat meat. You don’t have to use fancy silverware or dishes, and disposable plates and forks are okay! But if you insist, you could be fancy for your friends. But do dress to impress! Do not forget the alcohol! You should provide some alcohol, but your guests should also bring more. Some recommendations are in the previous blog post. Plan some fun games for the evening. Drinking games are always fun! And since this is Thanksgiving with your friends, you do not have to worry about what your family will think. Don’t forget to share what you are thankful for with your friends. Don’t worry and just have fun! Now that you know what Friendsgiving is and how you can plan it, call up your friends and tell them about it! There is still time to plan a fun Friendsgiving Day with your friends.